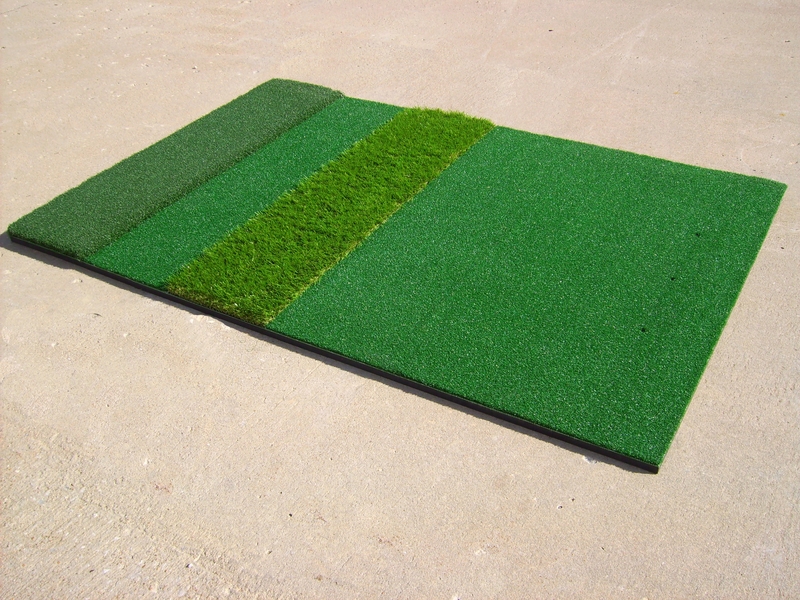 Practice your swing on various turfs using different clubs with this durable and convenient premium mat featuring 3 distinct course conditions. 1' of high-density tee turf allows you to practice your drives with a real wooden, 1' of knitted nylon fairway turf allows you to practice with your wood and irons, 1' of semi-rough turf allows you to practice with your irons and wedges, and 3' of knitted nylon turf provides a perfect stance area. The dense 5/8" closed cell ensolite backing makes this mat perfect for indoor and outdoor use. When paired with golf netting, this creates the optimal indoor or outdoor practice setting year-round. This multi function practice mat comes with 3 rubber tee holes at one end and one rubber tee is included. Action Sports Golf is committed to providing quality, affordable products, service and support you need to help your game reach the next level. We value each of our customers and offer everyone the same high level of service. Word of mouth has grown our customer base that includes individuals and professionals., and about everything in between. They all have different needs, but they have one thing in common - when they have questions or special needs, they turn to our experts for answers they can trust and equipment that they can rely on.